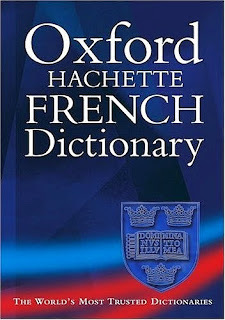 We felt it was time our office French dictionary from the early 1980s was replaced with an up-to-date one, given the constant influx of new words and terms into English. A few words that have appeared in the last three decades: Abseil - descendre en rappel; Blog - blog, weblog; Cellphone - (téléphone) portable; Insider trading - délit d'initié; Microchip - puce, circuit intégré; SUV - SUV (presumably with French pronunciation). And there are a few terms where a description is required, for example, Cyberstalker - auteur de violences qui harcèle ses victimes sur Internet - where one imagines that the English term is used in preference! A large dictionary which provides numerous examples of usage is important for an office like ours where translations are often required. what about "e-mail" - how is that used in French? An interesting question Judy. According to the dictionary, "courrier électronique" is the medium, "adresse électronique" is an e-mail address, and "message électronique" is an e-mail item. 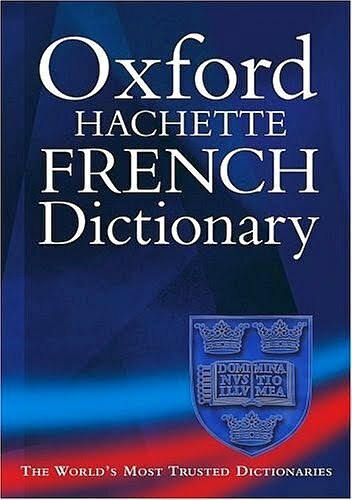 The English term (and pronounced as in English) is used informally and often, although certainly with the disapproval of the Academie Francaise! We understand the French government requires its employees to use "courrier-él" rather than "e-mail". Note that émail means enamel in French, but obviously the pronunication is different to e-mail.